Winter has arrived and you need the help of magic to defeat the freezing cold. 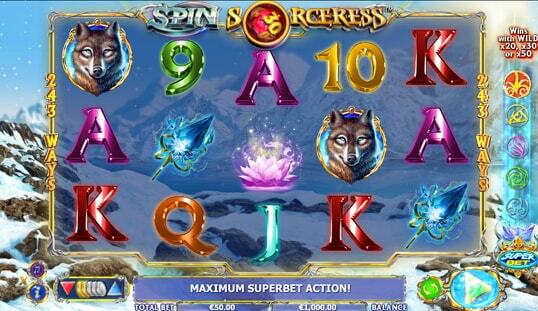 Play Spin Sorceress slot to experience the magic of slot gaming. 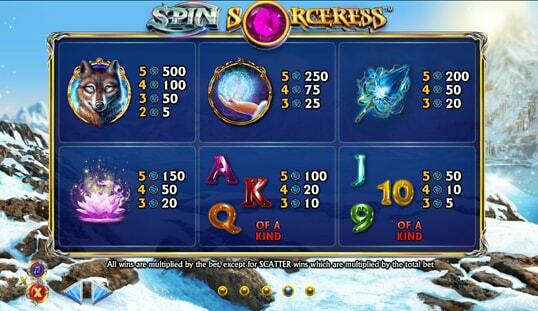 Make magic every time you spin with NYX Gaming’s offering, Spin Sorceress slot. Great aesthetics with excellent gameplay, along with the special SuperBet feature, make this a must-try experience for any slots player. 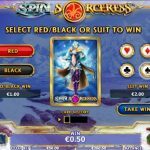 With NextGen Gaming, a subsidiary of NYX Gaming, the slot offerings always look good and Spin Sorceress is no exception. From the moment that you start the game, the mystic theme makes playing the game an atmospheric experience. The mountain landscape really sells it, as well as the transparent reels with the symbols. The background music is a soothing counterpoint to the game concept, with a heroic theme blaring out when you hit upon a streak. 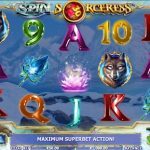 The Spin Sorceress slot game has the same basic features as most NYX Gaming’s slot games; it has the standard 25 pay lines and five reels, which result in 243 ways for you to win every time that you spin the wheel. There 10 regular symbols that make up the usual combination on the slots from left to right. 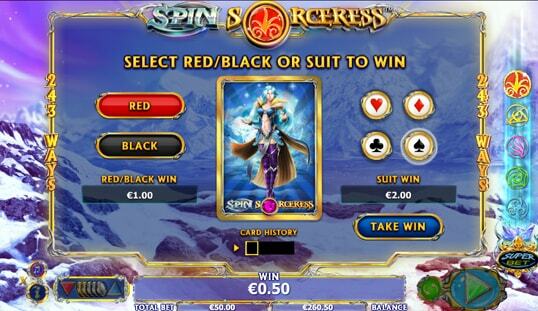 Spin Sorceress Slot wins are multiplied by the bet. An auto spin feature lets you keep on spinning in increments of 5, 10, 15, 20, 25, 50, and 100; that way you don’t even need to take a break. 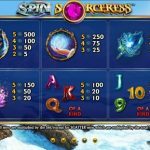 What makes Spin Sorceress a great game to play is when you hit the bonus symbols. The main bonus symbol is the Wild which is the Spin Sorceress. If she pops up then she can substitute for any symbol for a combination. Additionally, when you roll a Wild, then you have a chance to place a SuperBet. SuperBets enhance your current bets. When you click on the SuperBet symbol you can add to your stake from 25 to 500. This can give multipliers of up to 50 to the next win that you make. Be careful though, this can drain your bankroll fast. 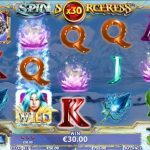 The Scatter symbol is the ornate gray plate and when you roll three of them, you can get 10 free spins, with at least one wild guaranteed. This ensures that you have a chance to make a SuperBet. Another way to enhance your winnings is the gamble option. Every time you win, you have a chance to make an additional bet; you can guess the color or suit of a random card. If your guess is correct, you can double or quadruple your wins. 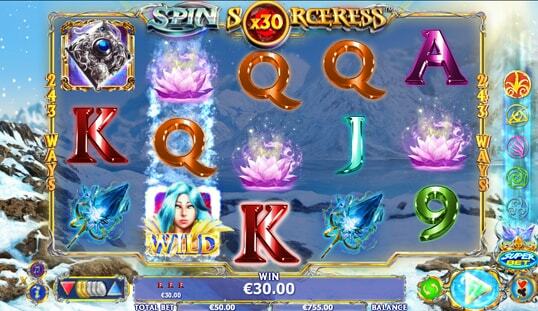 Spin Sorceress slot is a fun atmospheric game. It has a gameplay that makes it great for high rollers and basic players alike. Find this game from NYX Gaming in select online casinos.